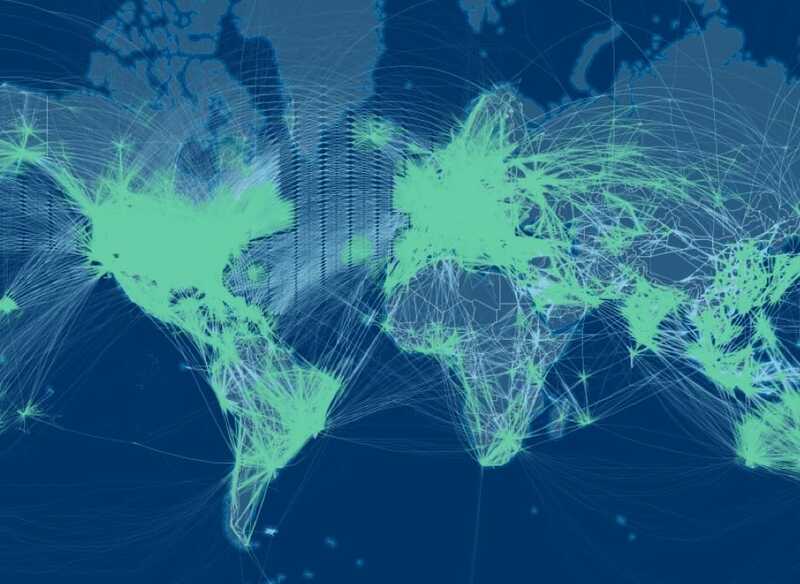 An enterprise-grade, live data feed of global aircraft positions and flight status. Enhance and optimize aircraft, airport, or airspace operations with in-depth, real-time flight data. FlightAware’s Firehose is a TCP-based, SSL streaming data feed of flight positions and flight status processed by FlightAware. Every Firehose connection includes airborne or surface position data from FlightAware’s terrestrial network of ADS-B receivers. Positions from Aireon’s space-based ADS-B network, datalink/ACARS providers and RADAR may be included as additional data layers. FLIFO data, Predicted ETAs, Block Events, Extended Flight Info, and weather/extended Mode S/FMS data are also available. FlightAware’s Firehose is powered by HyperFeed®, a machine learning and rules engine that uses thousands of proprietary models and algorithms to compile, evaluate and aggregate over 10,000 aircraft positions per second. HyperFeed fuses data from radar, terrestrial ADS-B, Mode S multilateration (MLAT), datalink and Aireon space-based ADS-B to deliver the highest quality, truly global flight tracking data. The FlightAware Flight ID is a unique identifier that stays constant throughout the entire flight. Hyperfeed does all the work of associating all relevant flight data with this id, across all of our data sources, no matter if it is reported using a flight’s registration, callsign, or transponder hex identifier. FlightAware delivers flight tracking to many of the industry’s leading ASDs via Firehose integrations that enable global, real-time flight tracking and powerful analysis. Aircraft operators who choose to build their own operational tools can seamlessly integrate FlightAware’s Firehose to track their aircraft in the air as well as on the ground. FlightAware’s Firehose enables aircraft and engine manufacturers to track equipment utilization and comply with maintenance schedules. With Aireon space-based ADS-B, developers can create solutions that exceed ICAO’s GADSS flight tracking standards with positions updated at least once per minute anywhere in the world. Airport managers and passengers all benefit from live flight tracking visualizations built with FlightAware’s Firehose. Developers can build tools that show aircraft in the air and on the ground at the airport, along with flight status information and so much more. With FlightAware's Firehose, ATC, ANSPs, and airspace managers can leverage data to manage airspace and predict capacity in real-time to reduce delays and congestion. FlightAware's Firehose also supports historical data replay of past events, commonly used for after-the-fact analysis. Contact us today to get started using Firehose! Our data specialists will work with you to optimize your streaming flight tracking data needs.